Forerunners of today’s braces date back to 1728, but alloys used in modern orthodontics are truly space-age, some developed by NASA for the space program. Yet no matter how thin or flexible the wires, bands, and brackets might be, most people would rather not have noticeable metal in their mouths. If you are one of them, you will be interested to learn more about Invisalign braces from Dr. David Spilkia in Philadelphia, PA.
An adult orthodontic patient named Zia Chishti devised the concept of aligners. He determined that if a retainer could hold teeth, a series of similar devices could move teeth progressively. Chishti teamed up with a college pal, Kelsey Wirth, forming Align Technology in 1997 and seeking developers for the Invisalign design concept. Today Invisalign is available in more than 45 countries, and nearly three million people have straighter smiles because of it. Conventional braces move teeth with a consistent pull from wires. Tension triggers the process of bone remodeling. Proteins called osteoclasts break down bone tissue at the point of pressure, while osteoblasts add bone to fill the void as the position of a tooth shift. Invisalign does the same thing, without hardware. Digital impressions are taken of your mouth. Proprietary computer software uses the detailed data to design a series of rigid plastic trays that use gentle pressure to reposition teeth. Each set of aligners is worn for about two weeks to allow incremental bone remodeling, before advancing to the next set. 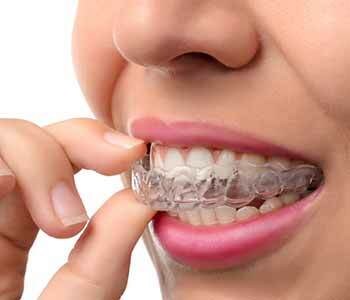 Initially, Invisalign was considered a cosmetic dental treatment for adult patients. However, Invisalign has continued to evolve in efficiency and application. Now suitable for teens and adults, complex cases, very crooked teeth, and even bite issues can be addressed with Invisalign. Each patient receives a personalized treatment plan, but it typically takes about 12 months to complete. In some cases, the Express version, with just five sets of aligners, is suitable. Aligner technology has made orthodontics appealing and feasible for many individuals reluctant to wear braces in a work environment or social setting. Currently, one in five orthodontic patients is aged 50 or older. Celebrities – actors and actresses, musicians and singers, and world-class athletes – are taking advantage of Invisalign, too. 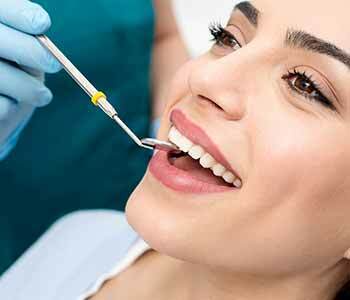 No surprises – You get to “test drive” your new look, reviewing a graphic illustration of how your teeth will move from their present position into straight, attractive alignment. Virtually invisible – Aligners are made of transparent plastic. With good hygiene, they stay sparkling and barely noticeable. People probably won’t realize you are wearing aligners unless they look closely. Easy to adapt – Because the custom-fit, lightweight aligners snap securely into place, most patients have no problem speaking clearly and drinking water with them inserted. Comfortable – Aligners are smooth, without wires or sharp components to poke and rub soft tissues. Plus, you never have the discomfort of aggressive wire tightening. Removable – Compliance is important. You must wear aligners at least 20 hours a day for the system to work efficiently. However, aligners are not cemented. Take them out for normal eating and oral hygiene. Carefree care – You receive hands-on instructions on cleaning aligners to keep them clear, your breath fresh, and your mouth healthy. Visible transformation – The smile remains visible, not hidden by hardware, so you see improvement as it occurs. Convenient – Return checkups, about every six weeks, are brief and painless. The doctor monitors progress, adjusts the wearing schedule if necessary, and answers questions. Safe – Invisalign places no more pressure on tooth roots than conventional orthodontics, and without cemented brackets, there is reduced the risk of enamel damage at the conclusion of treatment. Are you ready to learn more about Invisalign braces? Call the certified preferred provider in Philadelphia, PA, Dr. David Spilkia, at (267) 463-2777.